Playing on national TV, on the road, against the defending champs, the Utah Jazz recovered from a 14-point first quarter to take the lead in the third—only to see the Warriors catch fire late and hand them a 115-108 loss on Tuesday night. The Jazz (32-25) will head into the All-Star break in sixth place in the Western Conference standings. 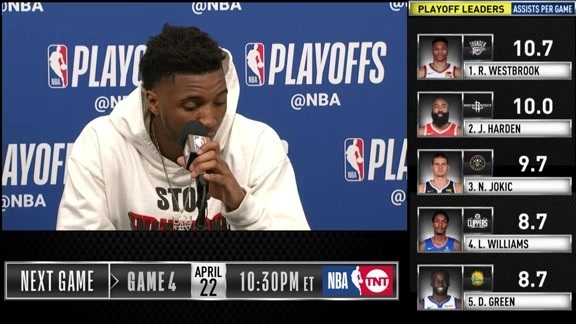 "They’re the back-to-back champions, and it’s definitely a good thing to be able to play them as well as we have," Utah's Donovan Mitchell said after the game. "The biggest thing is just continuing to improve. We've got 10 days until we play again, and we can’t lose that edge at all." Mitchell led the Jazz with 25 points, while Rudy Gobert finished with 13 points and 16 rebounds. 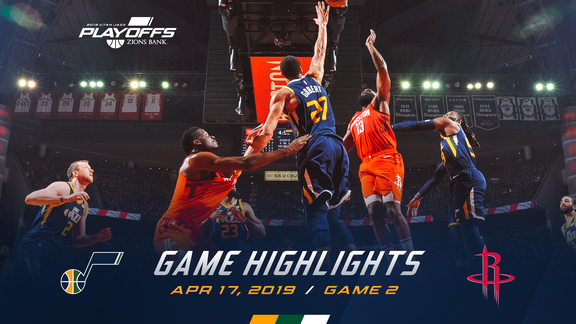 Derrick Favors (13 points, seven rebounds, four blocks) and Ricky Rubio (16 points, four rebounds, six assists) stuffed the stat sheet, while Royce O'Neale (13 points, three 3-pointers) and Raul Neto (10 points) also scored in double figures in the loss. 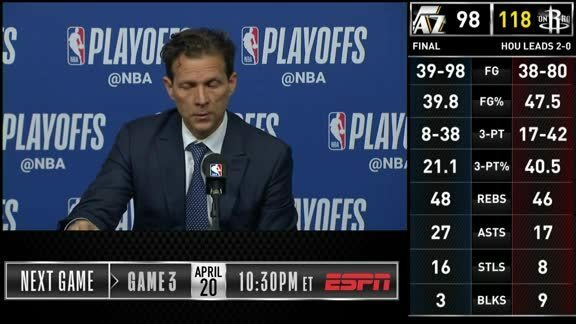 The Warriors are well-known for their overwhelming third-quarter runs, but it was the Jazz who turned up the heat after the break, going on a 21-11 run to take a five-point lead late in the third quarter. Mitchell turned it on after the break, scoring 18 points and initiating much of Utah's offense in the second half. The Jazz would lead by as many as seven in the final period before the Warriors went on a 17-2 run—punctuated by back-to-back threes by Stephen Curry—to take a 10-point lead with 4:13 left in the game. Golden State's All-Star trio of Kevin Durant (28 points, seven assists), Curry (24 points, four steals) and Klay Thompson (22 points, two blocks) combined for 74 points on 53.8 percent shooting. The Warriors are now 41-4 when all three of them score at least 20 points. DeMarcus Cousins struggled against mightily against Gobert and Favors, finishing with 12 points on 4-for-17 shooting. The Warriors (41-15) are 16-1 in their past 17 games and have the best record in the Western Conference. Royce w/13 points off the bench. The Jazz scored only five points in the game's first six minutes, and they shot 5-for-19 (26.3 percent) in the first quarter. From that point on, they shot 52.9 percent. 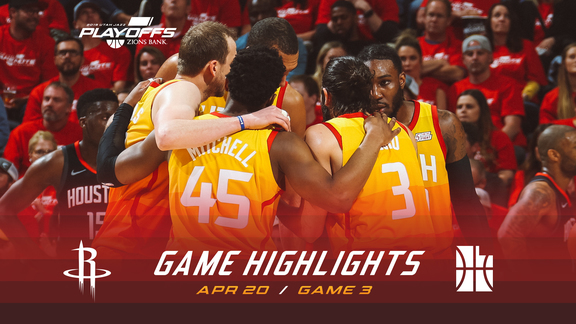 Each team played to its strength, with Utah outscoring Golden State 54-44 in the paint and the Warriors racing to a 24-11 advantage in transition. Turnovers were once again key, and the Jazz struggled to take care of the ball. Utah committed 16 turnovers, which led to 27 Golden State points. The Warriors only turned the ball over seven times, which led to eight Jazz points. The third quarter featured two ties and five lead changes. ... Jae Crowder picked up a technical foul in the first half and was involved in several other confrontations throughout the game. ... Golden State started only 1-for-15 from beyond the arc, but they shot 12-for-26 to close the game. ... Danté Exum (ankle) remained out for the Jazz. He'll be re-evaluated after the All-Star break. ... Utah shot 10-for-26 (38.5 percent) from 3-point range. ... The Jazz outrebounded the Warriors 49-40. ... Joe Ingles shot 2-for-2 from the field and finished with five points, five rebounds, four assists and a team-high net rating of +3 in 28 minutes. After the All-Star break, the Jazz will travel to Oklahoma City to face the Thunder on Friday, March 22. Tipoff is set for 7:30pm MT.